Happy Taco Tuesday! I’ve been waiting for this moment for a really long time. 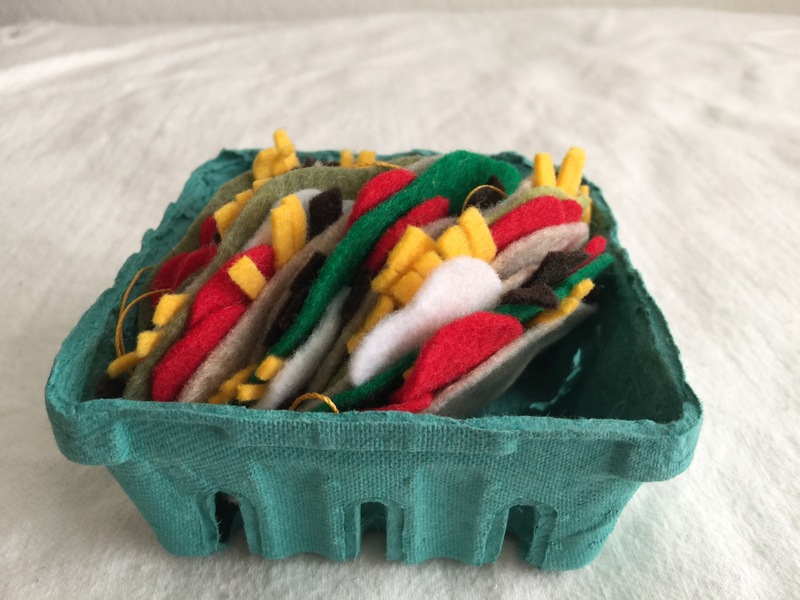 I’m launching a new garland via my craftstyle brand Feed the Fish co.
Each order comes with a taco six pack. The shells come in three colors: wheat (above), flour (below/left), and corn (below/right). And you get your choice of fillings: meat, lettuce / guacamole, sour cream, cheese, tomato, you pick! 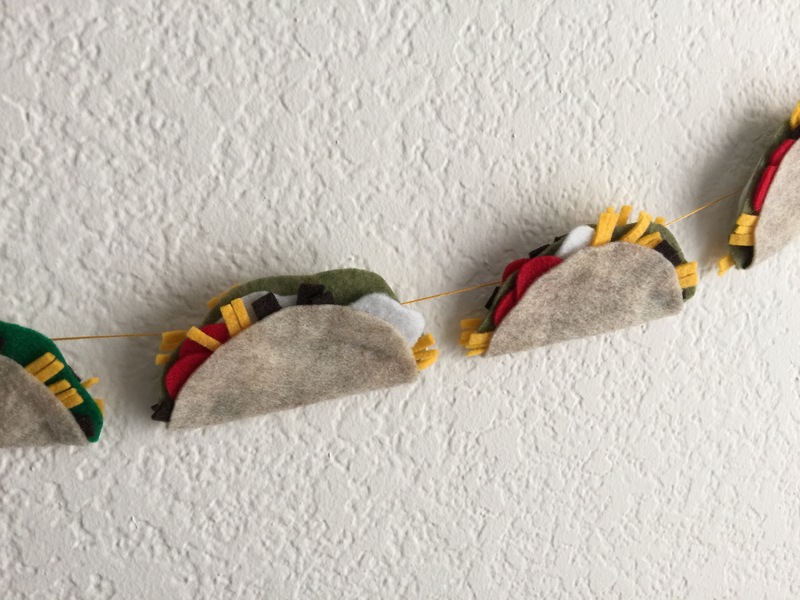 This garland reminds me of my San Diego grad school days. Taco Tuesday was serious business back then. Now, I like to get my tacos any day of the week from Tacos El Autlense in Albany. Mmm, tacos. Where’s your favorite place for Taco Tuesday? Share below! 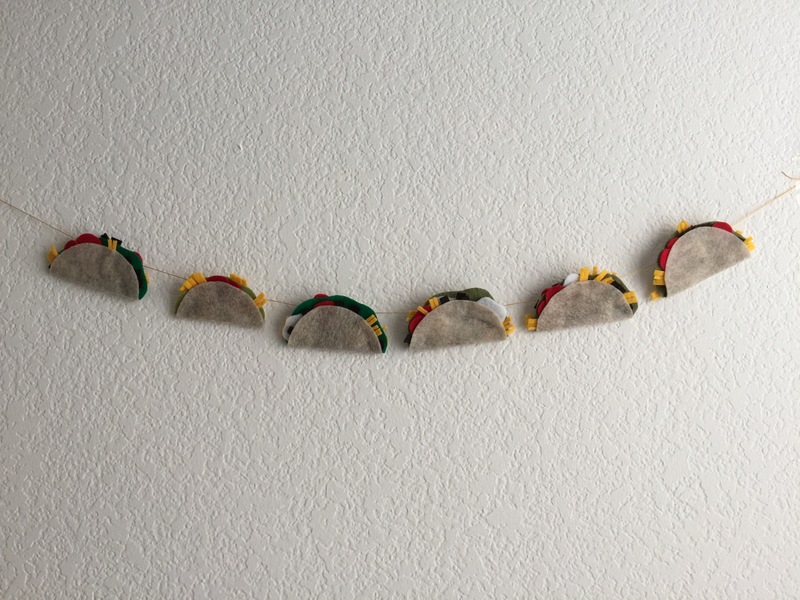 And grab your forever tacos here.